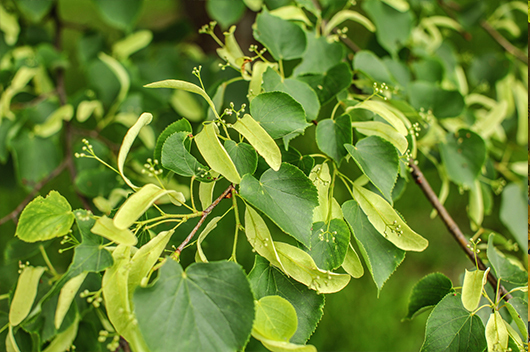 This week, we continue our series on the native trees of the Chicago area with a look at basswood trees (Tilia sp. ), also known as linden trees. These trees are found throughout the Northern Hemisphere in North America, Europe, and Asia and there are around 30 known species in the world. Basswood trees are known for their thick canopies, heart-shaped leaves, and fragrant flower clusters. 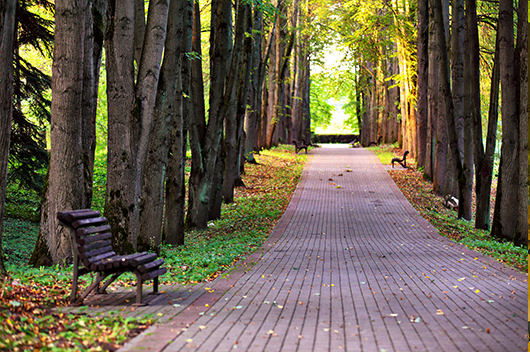 There are around 30 known species of basswood trees throughout the world but only a few species are found in the U.S. The American basswood is native to the Chicago area and can be found throughout the Midwest as well as the northeastern U.S. and southeast Canada. The species found in North America are commonly referred to as basswoods while those native to Europe and Asia are referred to as lindens or lime trees. In this guide, we will explore the main characteristics of basswood trees, including their physical characteristics, natural threats, and care tips to keep them heathy and vibrant. We will mostly focus on the American basswood, but also highlight other species of basswoods found in the U.S. and throughout the world. American basswoods are often planted because their thick canopies provide excellent shade and their flowers make them a great ornamental tree. With the proper care, your American basswood tree can live between 100 and 200 years. 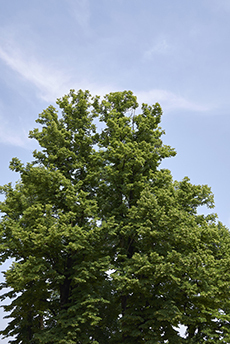 Our arborists at Hendricksen Tree Care can help keep your American basswood trees healthy and vibrant with our professional tree care and maintenance services. We will inspect your tree for insects and disease, provide preventative treatments and fertilization, and ensure that they are properly pruned. In general, basswood trees are medium to tall deciduous trees that can grow between 60 and 120 feet. They have very thick canopies that may be 30 to 60 feet wide and appear oval, round, or pyramidal in shape. These canopies contain heart-shaped leaves with lightly serrated edges and small clusters of drooping, cream colored flowers with a strong fragrance. Height: For the most part, basswood trees can range in height from about 60 feet up to 130 feet. Leaves: The leaves of most basswood species are heart-shaped with a serrated edge and a point at the end. They grow in an alternate pattern and can be 4-8 inches long. Basswood tree leaves are dark green in the summer and turn shades of yellow and orange in the fall. Flowers: The flowers of basswood trees grow in small drooping clusters that include between 5 and 10 flowers. These flowers are generally cream colored, very fragrant, and hermaphroditic as they have both male and female parts. 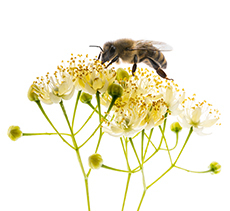 Bees play a huge role in their pollination. Bark: The bark of basswood trees tends to be gray in color. As the tree ages the bark becomes more ridged and furrowed. Fruit: Basswoods produce small, cream-colored nutlets that appear in hanging clusters. These nutlets attract songbirds and blue jays. American basswood: The American basswood (Tilia americana) is the one species of basswood tree that is native to the Chicago area. These trees have the serrated, heart-shaped leaves, thick canopies, and fragrant flowers that are common among basswoods. They also have soft wood which is used by artists for carving. Carolina basswood: The Carolina basswood (Tilia carolinia) is a species of basswood found in the southeastern U.S. and parts of Mexico. The leaves of the Carolina basswood can get up to almost a foot long and they have bigger flowers than the American basswood. White basswood: The white basswood (Tilia heterophylla) is a subspecies of the American basswood. This tree gets its name from the silver colored hairs that appear on the leaves. Common Linden: The common linden (Tilia x europaea) is a hybrid of the Tilia cordata and Tilia platyphyllos and it is found in the U.K. These trees can grow taller than other types of lindens and they can have dense brushwood at the base of the trunk. 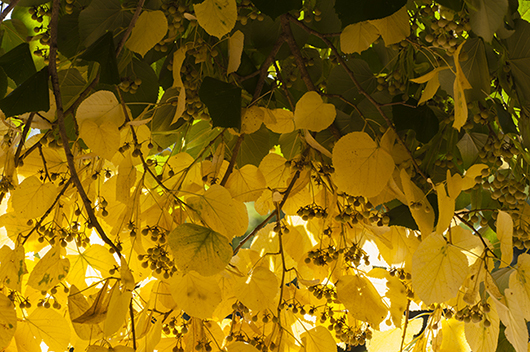 Large-leaved lime: The large-leaved lime (Tilia platyphyllos) is a linden tree found throughout Europe. It grows taller than other linden species and it has large, broad leaves and a dome shaped canopy. Little leaf linden: The little leaf linden (Tilia cordata) is a linden tree found throughout much or Europe and into western Asia. This tree gets its name from its small leaves and it starts with a smooth trunk when young. 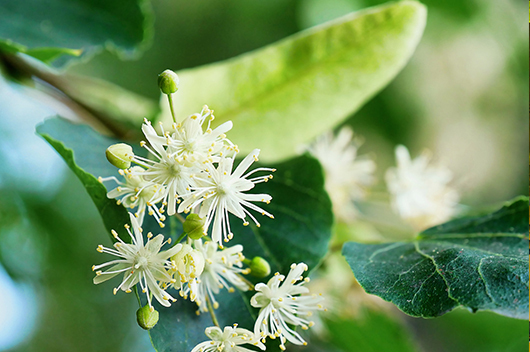 Henry’s lime: Henry’s lime (Tilia henryana) is a linden tree found throughout China. It is called Henry’s lime because it was discovered by an Irish planter named Augustine Henry. This tree is smaller than other lindens and grows at a much slower rate. Anthracnose: This fungal disease develops over the winter or in wet conditions and it attacks the leaves of basswood trees. The affected leaves will have small tan or dark spots that will get larger over time. The leaves will then start dying and falling off the tree, leading to defoliation. Trees affected by anthracnose can be treated with a combination of pruning and fungicide treatment. Verticillium wilt: This disease is a fungal disease that is very common among basswood trees. The fungus that causes verticillium wilt forms in the soil and affects the tree through wounds in the root. The fungus then reaches the xylem and spreads throughout the tree, causing the leaves and branches to die, eventually killing the tree. It is best to prevent this disease because there is no good way to treat it. Leaf spot: Leaf spot is a fungal disease that will attack the leaves of basswood trees. 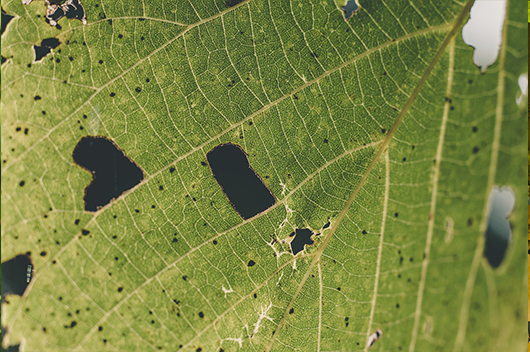 This disease gets its name from the dark spots it causes on the leaves. Affected leaves will eventually fall off, but this disease will not kill the tree. Leaf spot can be treated with fungicides. Cankers: Cankers are open wounds that develop in dead sections of the bark. These wounds look like swollen bulges and they invite harmful fungus and insects that can cause worse problems. Cankered areas can be removed with pruning. Aphids: Aphids are tiny, translucent green or orange insects that feed on the sap from trees. Basswoods have a lot of sap in their twigs and leaves which attracts aphids. For the most part, these insects will not have much of an effect on the tree, but a heavy infestation can case yellowing and curling of the leaves. Linden borer: Linden borers are beetles that pose a major threat to basswood trees. These reddish-brown long horn beetles lay eggs in areas of chewed out bark that hatch in 2 to 3 weeks. The larvae then feed on the heartwood, boring tunnels in the wood, before emerging as adults. A borer infestation will disrupt the flow of nutrients within the tree and cause the branches and trunk to weaken. These insects will eventually kill the tree. Japanese beetles: Japanese beetles are insects that feed on the foliage of many different types of trees. They are especially attracted to the foliage of basswood trees. These beetles have a dark green thorax and brownish wings and they feed on the leaves and fruits of the affected tree. This can lead to defoliation, but these beetles will likely not kill the tree unless it is a young tree or in poor health. Fall webworm: The fall webworm is more of a nuisance than a pest to the trees it affects. These worms form silk nests on leaves and branches and these nests are full of hundreds of larvae. The white, silky webs are the most obvious sign of the presence of webworms. The larvae stay within the web in this stage and collectively feed on the tree, leading to defoliation. Removing the leaves and branches that contain these webs is usually enough to treat the problem. Planting: Basswood trees prefer well-drained soil and areas with either partial shade or full sun. it is best to plant new basswood trees in the fall season. Watering: Make sure you water newly planted basswoods once or twice each week if there is no rain in the first 2 to 3 months. You should water the soil just enough to make it moist, do not over water. You only need to water established basswoods if there is no rain for a prolonged period of time. Mulching: Put a 3 to 4 inch layer of mulch around the base of the tree, but keep the mulch a couple of inches away from the trunk. Organic mulch containing bark, shredded leaves, or pine needles will work best. Fertilization: After planting a new basswood tree in the fall, apply fertilizer the following spring. You can use compost or rotted manure. Make sure to apply it to the area around the trunk and spread it out twice as wide as the canopy. Established basswoods only need to be fertilized if the leaves are yellowing or if the tree is not growing like it should. Pruning: Basswood trees should be pruned during the winter while the tree is dormant. All pruning must be completed before the buds start to form in the spring. Young basswoods can be pruned in the early to mid-summer to remove thick growth and dead or damaged branches. If you do not feel comfortable pruning your basswood trees, you can always contact a professional arborist for tree trimming services. Basswood trees are planted to provide shade and natural beauty as their showy, fragrant flowers make them an excellent ornamental tree. However, basswood trees are susceptible to pests and diseases that can cause unsightly damage and even the death of the tree. Our tree care professionals at Hendricksen Tree Care can tend to your basswood trees and ensure that they get the care and preventative treatment they need to stay healthy. Hendricksen Tree Care is a certified tree care provider that provides tree care and maintenance, diagnosis and treatment for insects and disease, and tree pruning services to keep your trees in good health. Each of our arborists have ISA certification and they are committed to caring for your trees, always doing what is best for the tree. We serve residential and commercial clients with our tree care services in the northwest Chicago suburbs including Arlington Heights, Palatine, Mount Prospect, Northbrook, Lake Zurich, Park Ridge, and the surrounding areas.